Mike and I plan to start new traditions this year beginning with this simple chicken pasta recipe. The past few years during the holidays we’ve accidentally developed a few bad habits. Since we both get completely swamped during this time of year, we order food in way too often. I do not want a tradition to be eating delivered pizza around the tree while adding ornaments. 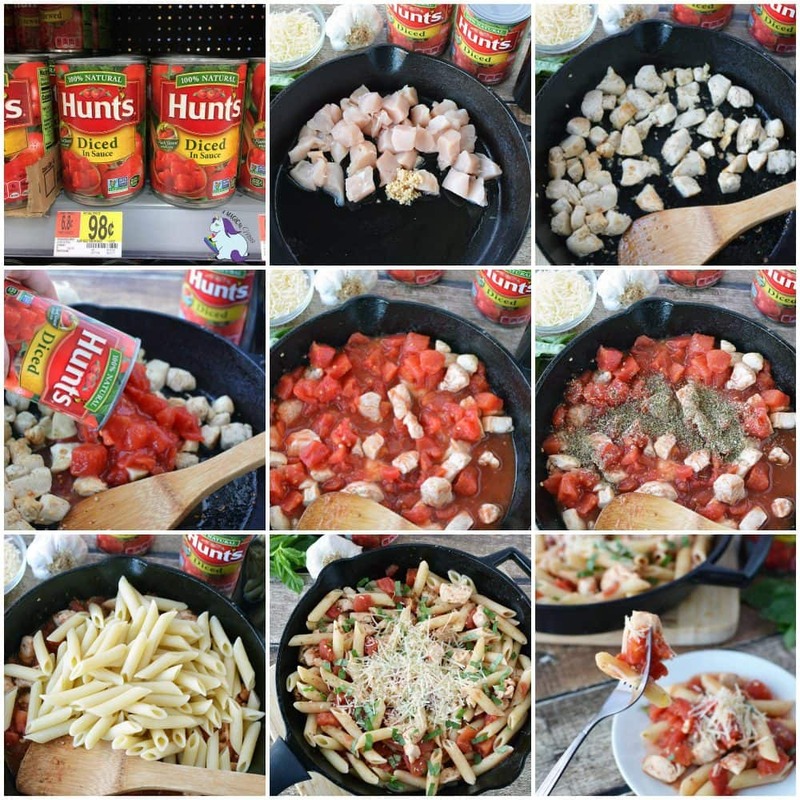 Not when it’s just as easy to whip up a tasty pasta dish using Hunt’s Diced Tomatoes. When I am super overwhelmed, I tend to forget how easy a good dinner recipe can be. A hearty pasta dish can be created with items from the pantry. All you need is Hunt’s Diced Tomatoes, pasta, and the rest is negotiable. Depending on your personal tastes, picky eaters in attendance, and what you have on hand, you can most definitely make a delicious dinner and start a new tradition. This year, while decorating the tree, I made a simple chicken pasta recipe for us. Instead of hastily scarfing down pizza, we ate soul-warming pasta by the fireplace. 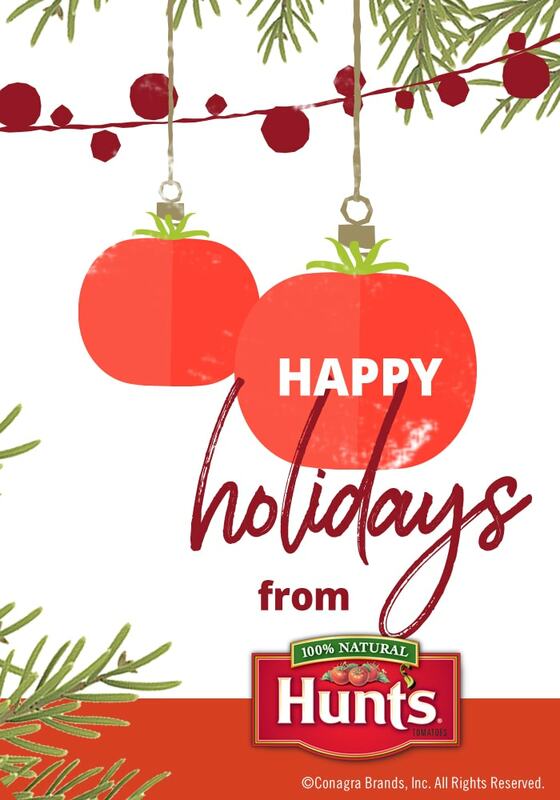 There’s nothing wrong with pizza; I just want our holiday traditions to be a little less rushed. Life is zooming by, and we need to start savoring moments a lot more often. 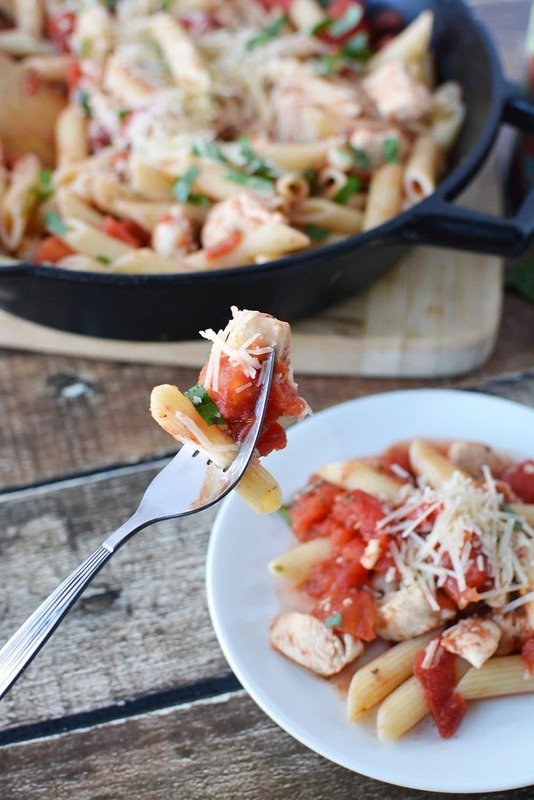 Easy pasta recipe to make on busy nights. Boil pasta as per package instructions. Add chicken, garlic, and oil to a skillet and saute on medium-high heat until chicken is cooked through. Reduce heat to low and add Hunt’s Diced Tomatoes and seasoning. Heat for 3-5 minutes or until steaming. Stir in pasta and mix well, heating 2 minutes more until hot. Serve with Parmesan cheese and fresh chopped basil. 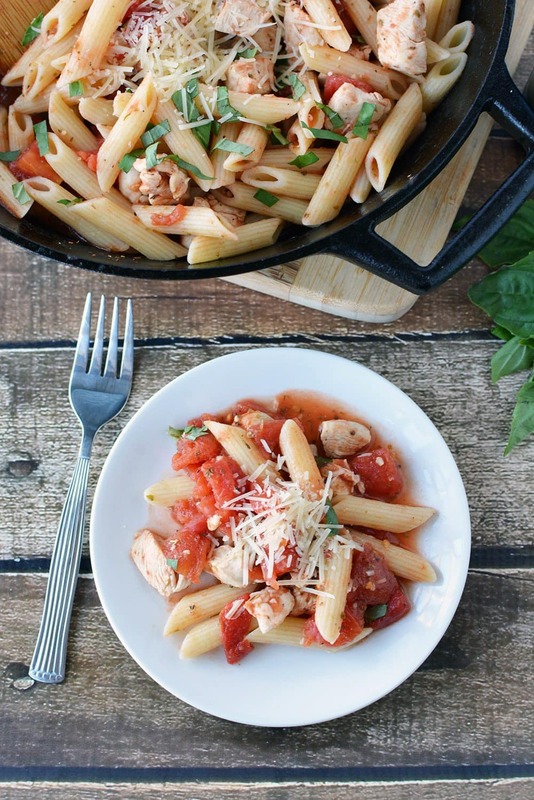 You can make this recipe even easier by using Hunt’s Diced Tomatoes with basil, garlic, and oregano. It’s best to stock the cabinets with all the flavors and varieties of Hunt’s Diced Tomatoes. Pasta and tomatoes go with all sorts of proteins. Or, skip the meat for a Meatless Monday dish. The quick and easy dinner options are plentiful. 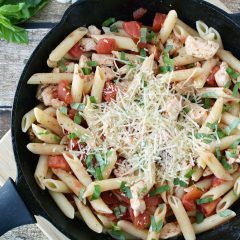 Get the kids involved by allowing them to choose their favorite sides to go along with this simple chicken pasta recipe. Maybe cheesy garlic bread? Mozzarella sticks? What other kinds of delicious appetizers or side dishes go along with pasta? 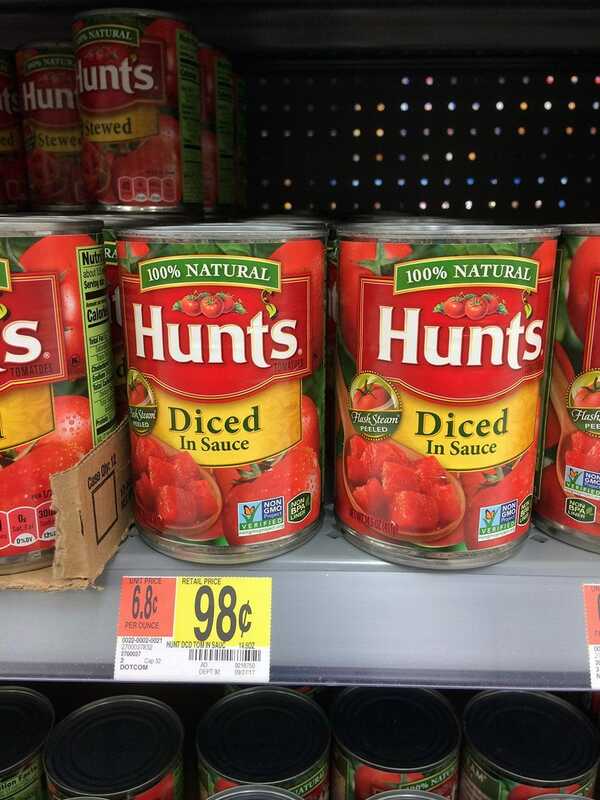 Head to Walmart to stock up on Hunt’s Diced Tomatoes. You’ll be thankful during busy times when you have cabinets full of meal options. Start meal planning early in the season so the holiday chaos doesn’t sneak up on you. What are your favorite traditions? Or, what new traditions do you plan to make this year? This recipe does seem terrific and tasty. I would not mind making a dish like this after work since it is not too much work either. I love how easy this recipe is! Great for when my college student is home for break. Heck, SHE can make it! This looks so good. I love easy recipes because I am so busy during the week. This looks and sounds good. It is very easy to fall into ordering a pizza because it is so easy but really, by the time it gets there, you could have already made something much better for you. I Keep pasta and rice around and add things in like sauces or like you did. I agree this is a better choice. My kind of quick meal – and looks so delicious! I enjoy recipes like this that I can make so quick and easy with ingredients I usually have on hand. I make a similar recipe. Looks delicious! I love making pasta meals. This one looks pretty easy too! Hunt’s Tomatoes are awesome! We always have some cans in our pantry for impromptu meals! I am a pasta fanatic and always looking for delicious and manageable recipes! thank you for sharing this. I can’t wait to try it. I make this almost the same way, it’s so simple and tasty! I love to keep diced tomatoes on hand, they can be used for a lot of things. I just bought some of these tomatoes today. This recipe looks light and tasty. Will need to give it a try. This looks very tasty. A great recipe for busy nights and I am tired. So easy to make! That recipe is so awesome! I have FIVE – 1,2,3,4,5 – kids and a husband that only knows how to use the microwave. This is PERFECT for me! This looks easy and delicious. Will add it to our menu for January and give it a try. 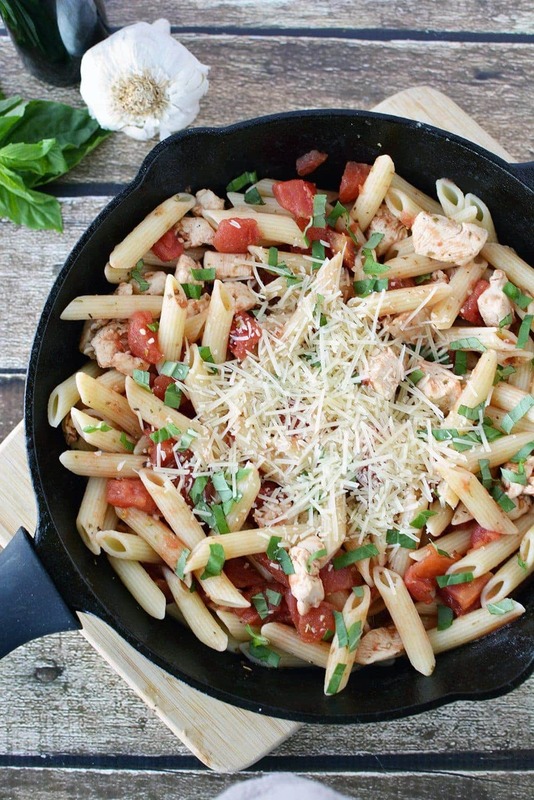 REeally do like a good simple one pot pasta meal with chicken. I haven’t made pasta yet this year.